2016 seems to be the year of velvet. With its luxurious look and soft touch, velvet’s rich, deep colors and amazing undertones are taking front and center stage in the design world. Modern, classic, contemporary, and retro styles are all utilizing this plush fabric, creating spaces full of texture and color. 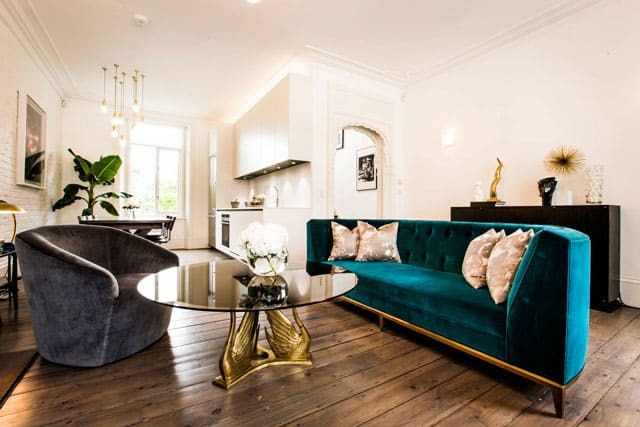 So keep reading to understand why these interior designers are using velvet - and why you should too! When choosing this elegant fabric, many designers combine velvet with other materials in order to achieve a traditional but also modern look. Velvet can be paired with a variety of fabrics, in large and small doses, bringing a look of softness and warmth to a room and creating a very intimate atmosphere. 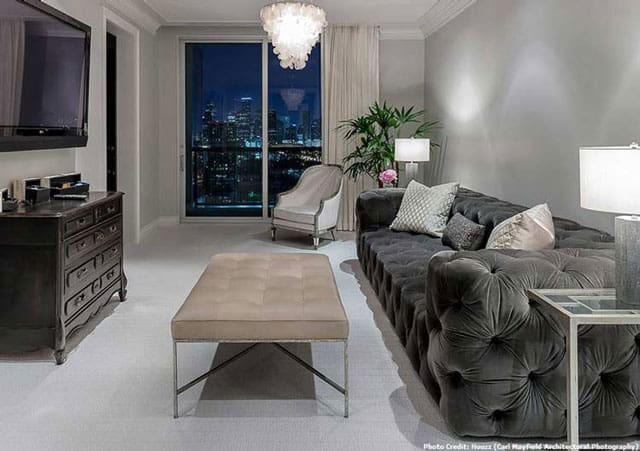 Beautiful velvet couches come in a variety of colors, such as vibrant reds, purples, greens, and browns. 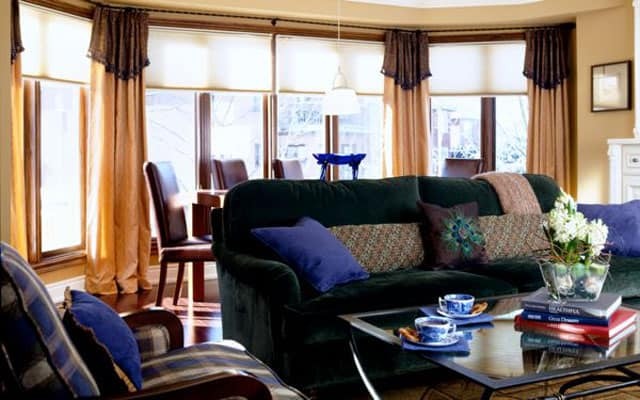 A toffee or chocolate colored velvet couch mixes exquisitely well with white, green, and orange decor. Just look at how stunning this color combination looks by balancing a chocolate colored sofa with beautiful orange pillows and green decor, adding just the right amount of texture to the room. 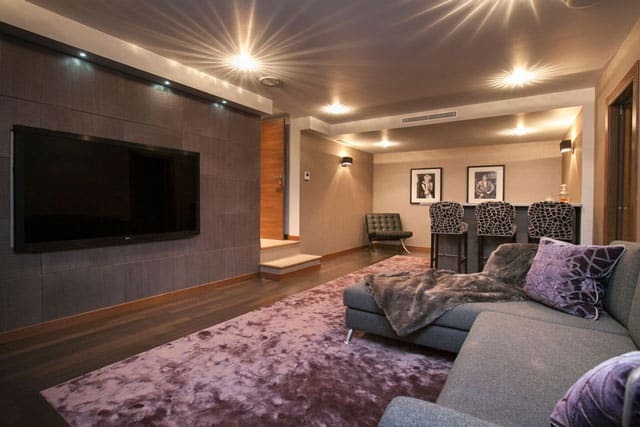 Purple velvet couches look magnificent with crisp whites, light yellows, colorful patterns, and even animal prints. Such designs provide a very unique and stylish combination of materials and look glamorous without being overwhelming. 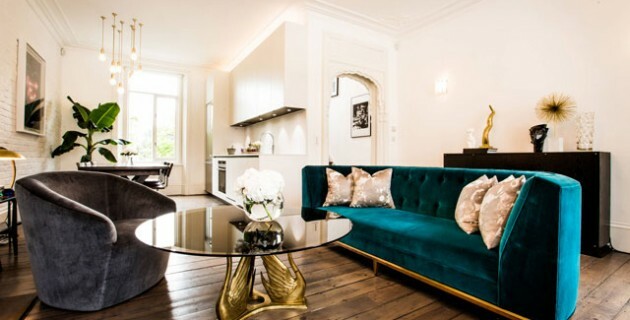 Green velvet couches can be matched with a diverse scheme of colors and patterns. Don’t be afraid to combine colorful printed throw pillows and a mix of light and dark colors, it adds a bit of an attitude to the dark green, but in a gentle, cozy way. As a material that utilizes both traditional and modern effects, velvet furniture will offer a sophisticated, glamorous look and can be found in colorful patterns, stripes, solids, and quilted textures. 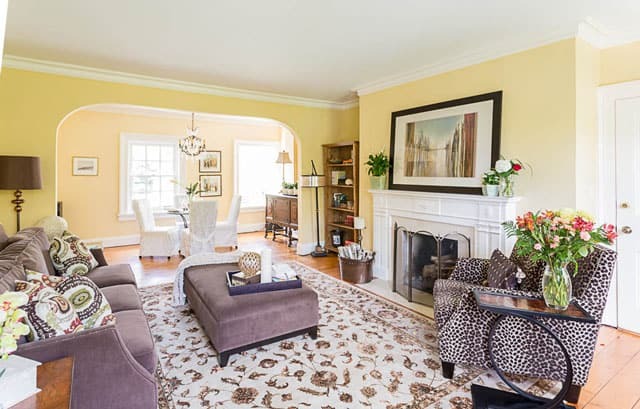 Velvet chairs, or other similar furniture, can easily be paired with lighter fabrics, such as the above curtains, as well as so-called heavier ones, too, such as this area rug. A deep blue velvet sofa chair is well suited with vibrant whites, grays, pinks, and yellows. 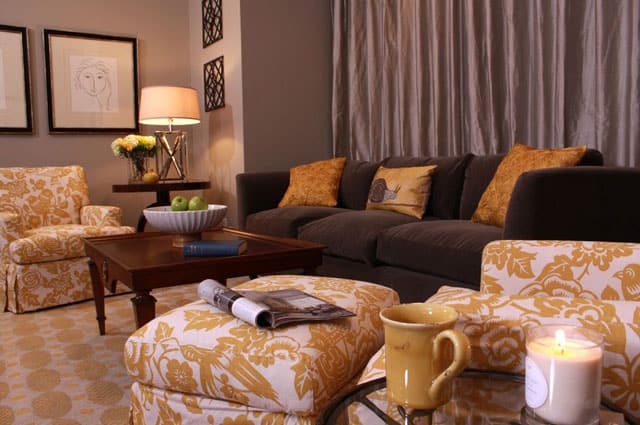 A bright, happy color, such as a yellow throw pillow, will add a modern look to this sophisticated design. 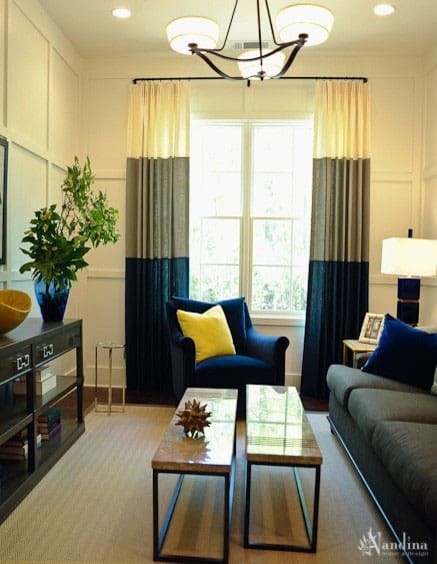 Velvet is one of the best choices for curtains as they are a thick, dense material that elegantly hangs and won’t crease. This material is also a smart year-round choice, as they will block the sun out during the summer and keep the heat in during the winter. Velvet curtains will offer a plush look to your room, and can be used to coordinate with the room’s color scheme or used to create as a pop of color. Carpets made of velvet have a luxurious look and feel. The carpet tufts are densely packed, so they blend together creating a wonderful, rich color, as well as sensational warmth and durability. In order to receive the most out of your velvet carpet, designers often recommend choosing a low to medium pile height for better performance, easier maintenance, and softer feel. Velvet wallcoverings are used quite often in formal areas, such as lounges, dining rooms, and restaurants, because of it’s soundproofing effects. However, velvet wall decor will also naturally provide an elegant and royal look, as it was a large part of early interior designs of castles and other royal establishments. 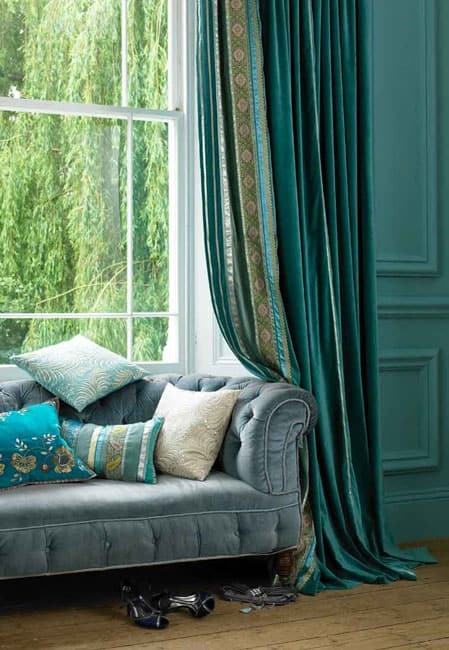 Velvet is used in many beautiful and unique interior designs, and using velvet sofas, curtains, carpets, or walls, is a fantastic way to introduce this fabric into our interiors.